That’s what I heard some older folks say when I was still young. Well, I beg to disagree. If you’re a parent who don’t like your kids to play video games, please don’t hate me for this. My first exposure to video games was in the early 1980’s when Game and Watch, a handheld electronic game, was introduced by Nintendo. I played games like, Octopus, Chef, and Donkey Kong. I did not own a Game and Watch as my parents would not splurge on these. But near our school was a store where one can rent Game and Watch. They were chained to a wall, and for 25 centavos, I can play for 10 minutes. Later on I occasionally played video games in the mall arcades, like the classic Space Invaders and Pac-Man. For home video console back in those days, there was Atari. Again we don’t own one, I just played in my friend’s house. I remember one instance when I was still in College, my friends and I spent one night playing video game till the wee hours of the morning. The next generation handheld video games had more advanced graphics. Game Boy launched a handheld version of Tetris which was a huge success in the early 90’s. One time after I finished Medical School, I joined a Medical Mission trip to Batangas. I sat beside a girl whom I recently met at that time, and she played Tetris the entire trip that she barely talked to me. But at least she let me borrow it for a few minutes. Nowadays, I still play Wii, once in a while, with my kids, and I have a few games in my iPhone as well, that I play when I am bored. Though I don’t consider myself a serious gamer, nor do I wish to play some of the newer games today, as they are far too violent than Super Mario beating up fungus and turtles. 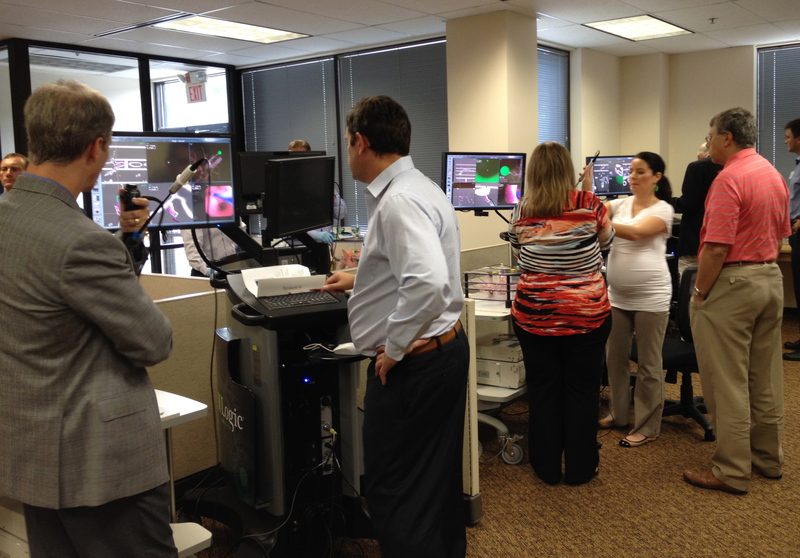 Last week I attended a seminar in Minneapolis to learn a new way of doing bronchoscopy (scope to look inside the lungs). 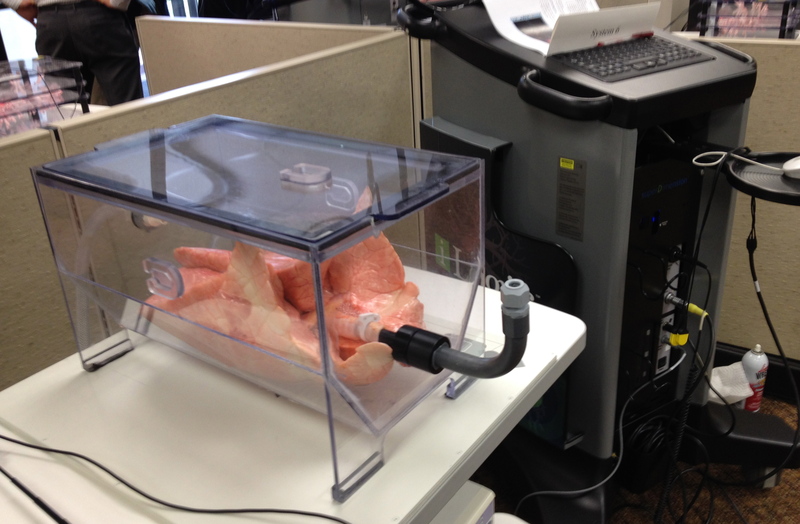 This method borrowed technology from video games and thus it turns bronchoscopy into something like playing one. 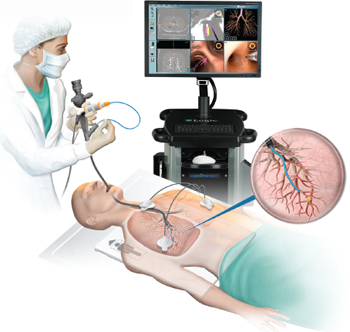 It is called Electromagnetic Navigational Bronchoscopy (ENB). Back to Navigational Bronchoscopy, the procedure involves placing an electromagnetic locator board underneath the patient. With a special software it transforms the patient’s CT scan images into a virtual map that can lead you to any specific point you want. With this modality, it improves the yield and accuracy of biopsy results. Let’s say there’s an 8 mm nodule in the patient’s lungs seen on CT scan. I can program this as my “target,” on the software. 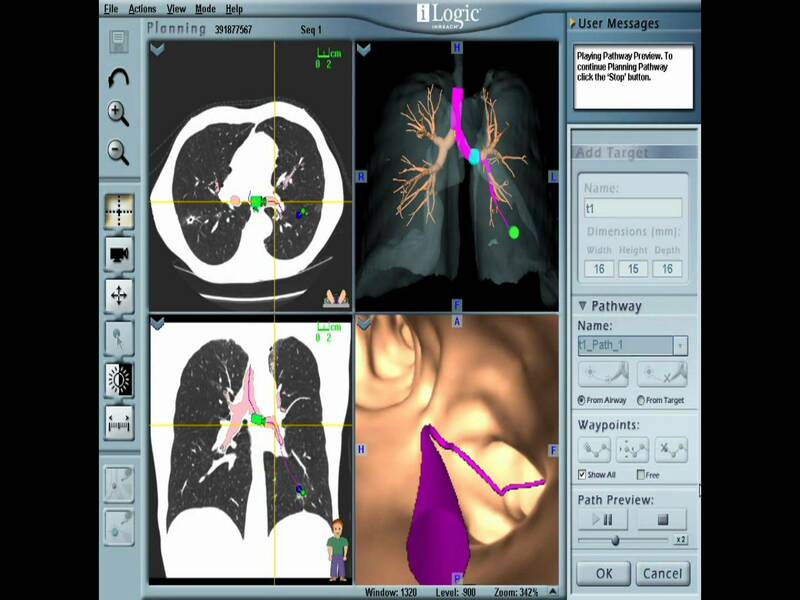 Then using the specialized scope, I will follow the virtual image on the screen, that will help me navigate turn by turn into the different bronchial passageways until I reach the target for biopsy. It is like doing bronchoscopy with a GPS. This technology evolved less than 10 years ago and is becoming mainstream in the past few years. Even though I have performed more than a thousand conventional bronchoscopies since I finished my Pulmonary Fellowship training in 1999, I want to stay current with the changing times. So I went to train for this new technique. Meet Jackson, my trainer. He is not an expert bronchoscopist. He is a pig. No, I’m not calling people names. He is really a pig! Sacrificed for the sake of science. Here is Jackson’s lungs where I practiced and tried to sharpen my skills in Navigational Bronchoscopy. Who said you cannot teach an old dog a new trick? This morning, with the assistance of one of my junior partners, I performed a Navigational Bronchoscopy on a real patient. Even though the location of the target was quite difficult to reach, the ability that required hand-eye coordination came out naturally for me – honed from years of playing video games. And guess what? It was fun too. Just like a video game. Who said nothing good will come from playing a video game? PS. The girl whom I sat with who played Tetris for hours, years ago? She’s now my wife.